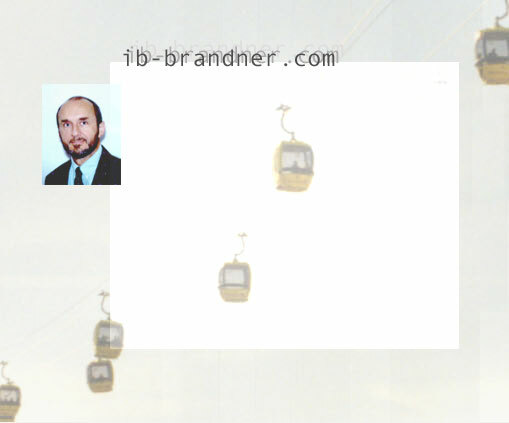 Founded 1986 by Andreas Brandner, Graduated Consulting Engineer for Civil Engineering IB-Brandner concentrates its forces on civil engineering, project management, structural engineering, ropeway engineering, geotechnical engineering. The main aim is to find for our clients technically outstanding and economic solutions and to care as well as advise them while planning and execution. We attach great importance to the environment and to the respect of nature in high alpine regions. Our office succeded in getting partner of commercial clients - such as contracting companies, suppliers, private and state companies - as well as cooperating with the authorities, while realizing pretentious projects in Austria and other European countries as well as in Africa and Asia.